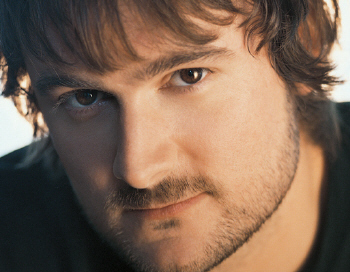 If you want to know what Eric Church is like, listen to his new album, Sinners Like Me. According to his website, he says "If you listen to this, you'll find out who I am." The album includes 12 songs that this North Carolina native either wrote or co-wrote. Back when he was 13, Church began writing down the thoughts in his head and turning them into lyrics before he even learned how to strum a guitar. About half of the 12 songs on this CD are upbeat while the remaining songs are set at moderate tempos. The album’s first single, “How ‘Bout You,” is a quick-paced song about knowing who you are. From punching a time clock to how he likes his country music, this song says a lot about Church’s life. Not only is it fascinating and true, but it is fun to listen to as well. “Can’t Take It With You,” one of my favorites on the album, describes a relationship gone wrong. The girl in the song takes all the good things from her boyfriend’s life without giving him time to fix problems between them. The beat of the song mixed with the melody produce a great combination. This is another one that will repeat on your personal playlist for a while. The main songs on this album that relate to Church’s life are “What I Almost Was,” “The Hard Way,” and “Two Pink Lines.” Although these three songs are true stories about his life, the tales they tell are very different. Between the exciting banjo, guitar and singing, Church’s second album is definitely a hit. Merle Haggard is even featured in the 10th song, “Pledge Allegiance To the Hag.” The newest single from the album is “Two Pink Lines,” a song about a pregnancy scare that I’m sure many people can relate to. The way his lyrics describe the frightening anticipation of the test’s outcome and the end of the relationship when results are negative are immensely realistic.